New Line Drops Option To Remake "Escape From New York"
Those plans to remake John Carpenter&apos;s Escape From New York are now dead in the water, according to Deadline. 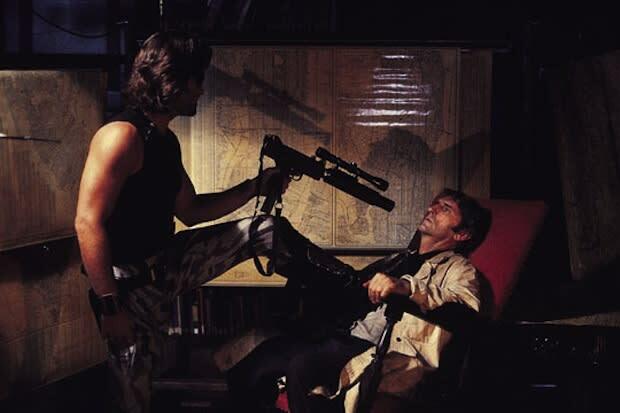 New Line Cinema and Warner Bros. have let the option to bring Snake Plissken back to the masses lapse. Thankfully, us fans of the original get a reprieve from experiencing a Len Wiseman (director of Underworld, the Total Recall remake) take on the property. With luck, Hollywood will let Escape From New York stay Kurt Russell&apos;s eyepatch-wearing baby. If a studio wants to try and improve on a pre-existing story about a "Snake," why not just adapt Hideo Kojima&apos;s Metal Gear Solid and make that a bankable commodity in theaters?